Some of us have already done it and the rest of us will most likely do it at some point in time. One of the most common mishap a locksmith hears is that the keys broke in a lock. This is one of the most annoying things that can happen to you, especially during an emergency situation. Fortunately, there is nothing to panic about as there are simple and effective ways to remove broken keys from locks. 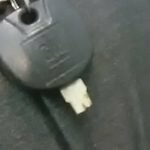 Why Do Keys Break? How to Remove Broken Keys? Keys that are made of light-weight material, such as the ones that are cut on aluminum blanks, tend to break more often. This is because the light-weight material makes them weak and prevents them from being used for longer periods of time. The deep cuts in such keys are extremely brittle, forcing them to break when there is a slight increase in pressure. Keys that have more than a couple of deep cuts are at risk of early breakage. With even minimal wear and tear, these deep cuts become sensitive to pressure and end up breaking. You can identify possible future breakage by observing the key’s cuts. If there are minute cracks appertaining near the cuts, then your key is well on its way to getting broken. As they say, prevention is better than cure, so make sure your keys are changed as often as possible to avoid such scenarios.